The rise of crafting and survival sims in PC gaming has, I think it’s fair to say, been inversely proportional to the wellbeing of its virtual wildlife. In Far Cry 2, dying deer were boringly animated in a deliberate ploy to discourage players from shotgunning them. But just two sequels later, we were skinning Asian Rhinos to make wallets. That’s not exaggeration for comic effect: literal endangered species were sacrificed on the altar of carrying a bit more cash. Don’t like taking direction from developers? Try one of the best sandbox games on PC. 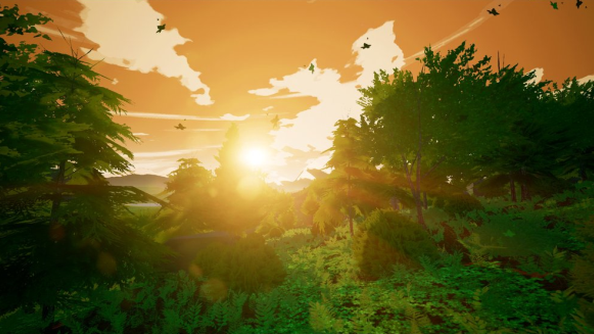 Abreu’s own survival game, LIFE, gives players the option to add to the world around them rather than simply take away from it – constructing farms where they can plant and grow their next meal rather than shooting it dead. More than that, it incorporates some rather pointed messaging for those who plow ahead with the playstyles they’ve developed in ARK and DayZ. As players upset the natural balance of LIFE’s world with traps and knives, the colour will drain from its handpainted art style, turning its lovely green forest into a desaturated hell. Abreu is a big fan of Proteus – the island exploration game in which the player’s proximity to its flora and fauna alters the soundtrack, making them acutely aware of their surroundings. He, too, believes in the ability of impressionistic art and exaggerated colours to convey natural beauty better than realistic graphics could. While Proteus’ Ed Key resides in Cumbria, Abreu has looked to his native countryside for inspiration. He cites Venezuela’s Gran Sabana, the area of natural beauty known for its gorges, rock plateaus, vast valleys and savannahs. LIFE’s dense forest in particular is fuelled by the developer’s “personal feelings towards the outside”. Abreu thinks of his world as a second protagonist – a living entity that reacts to the player. If you choose to spend your time chopping down every living thing in sight, that’ll “”worsen your relationship”. 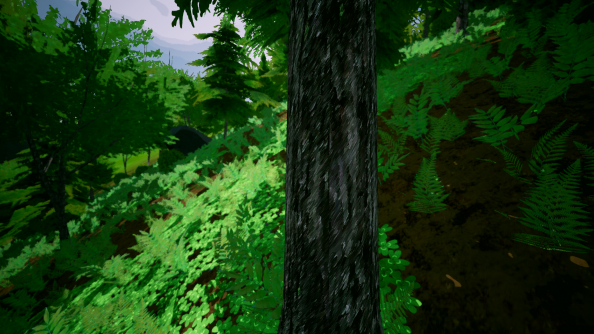 You’ll have a far harder time finding resources and fending off more hostile wildlife. 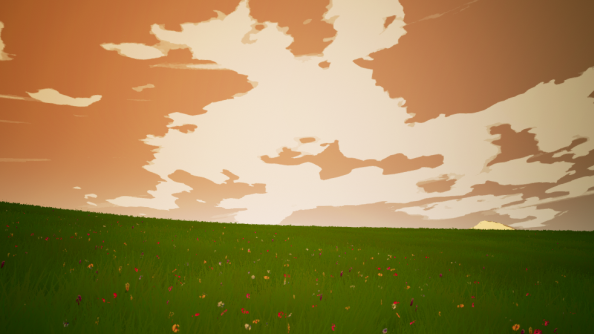 Colour and music will begin to disappear from the world and, working with Unreal Engine 4’s lighting engine, Abreu has conceived a procedural sky system – so based on your actions, the atmosphere will shift around you in a quite literal sense. There’s a kind of structure at work: pacifist actions increase your natural harmony, opening up new areas on the map. Finding these magical spaces – abandoned shacks, caves filled with paintings – ultimately becomes the player’s objective, so that they can come face-to-face with the spirit of the world. But LIFE doesn’t seem so much a game about playing with systems as a space to wander and feel some of what Abreu does when he steps outside. A Steam Early Access release is planned for LIFE. Unreal Engine 4 development is now free. In this sponsored series, we’re looking at how game developers are taking advantage of Unreal Engine 4 to create a new generation of PC games. With thanks to Epic Games andAlvaro Abreu.